HerpesDatingAu.com- Your Online Home for Dating with Herpes and other STDs in Australia. We have been helping people with STDs find love and support since 2001! Every day thousands of people visit our online community to meet people with Herpes , HIV / AIDS, HPV and other STDs for romance, dating, friendships, support, community, and to learn about STD medical treatments and information. Many people living with sexually transmitted diseases (also known as STDs) have been afraid to start dating again, for fear of rejection, or simply for fear of passing herpes, HIV, HPV etc to their new partner. It can make you feel like you are all alone in the world. Do you wish there was a place where you didn't have to worry about being rejected or discriminated? This is a warm-hearted and exclusive community for people with STDs. Whether you are meeting new friends, partners or potential spouses, learning about STD medical treatments and information, or finding someone to talk to or offer help and advice, this is the best place for you. 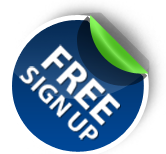 Basic membership with access to many site features is free. Full access to all of the site features is available to members who purchase one of our inexpensive upgrades. We care about your privacy more than other positive dating sites, all your personal information can be private. HerpesDatingAu.com offers dating and friendship options for people with a wide variety of personal preferences, such as straight, gay, and bisexual options, and interracial dating. Never feel lonely again! There is more of us out there then you realise don't give up. Who could have thought that one thing you thought was a nightmare will get you intouch with people all over the world.You don't have to be ashamed, you have done nothing wrong and don't even hold grudges. I'm sure even the person who infected you did not go shopping for this he or she was just unlucky. Those 'clean' ones out there are not better than you, they are just lucky. Life is too short, keep your chin up and enjoy the ride. Copyright © 2001 — 2013 HerpesDatingAu.com. All rights reserved.